Veloflex Record and Veloflex Sprinters are a top of the range tubular good for track, time trials and hill climbs. 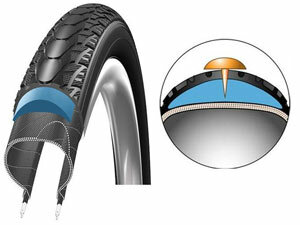 The Veloflex Record is made with a high TPI (350) which is one factor giving a potential high quality fast supple tyre . The Veloflex Record is perhaps best known tub, but the Veloflex Sprinter is also a good choice for a fast tub with an extra layer of puncture protection. The Veloflex Record weighs 190 grams, the Veloflex Sprinter 225 grams. The Sprinter is the better all rounder choice, the Record is more of a specialist front wheel tyre. 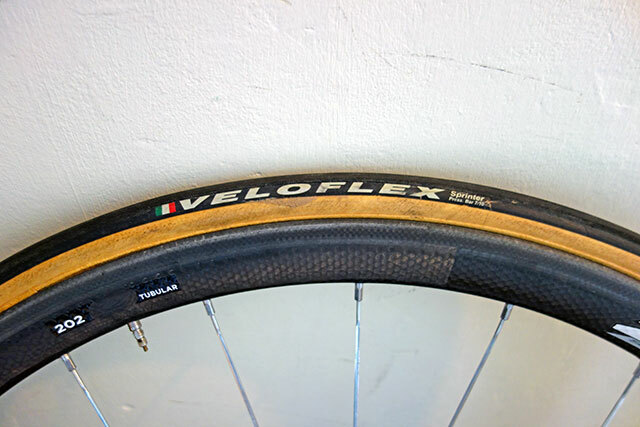 In rolling resistance tests, I’ve heard the Veloflex Record gives good results, though I couldn’t find any studies. Veloflex Sprinter at Wiggle – £72.68 RRP £90. The Veloflex Sprinter is a development from an older version called the servizio corse. It is 22″ width, which would be close to my preferred choice – perhaps would prefer a 23″ or even 24″ – given trend towards wider tyres. For hill climbs 22″ is a pretty good width. The Record seemed a good choice for a rear wheel in time trials. Rear wheels tend to wear more quickly (due to more weight on rear of bike) and also seem more prone to puncture. If you want to go all out for speed, you could put Veloflex Record on both wheels, but I tend to be more risk averse – you can’t win if you have to walk home with a puncture. I put the Veloflex Record on my disc wheel for a few time trials in the summer, and have now moved it to my Zipp 202 rear wheel that I use for hill climbs. It feels faster than a Continental Competition (which is the tub I’ve used most frequently in TTs). It is also lighter. After doing several races over gravelly roads, the tyre still looks in good shape, without any scratches. 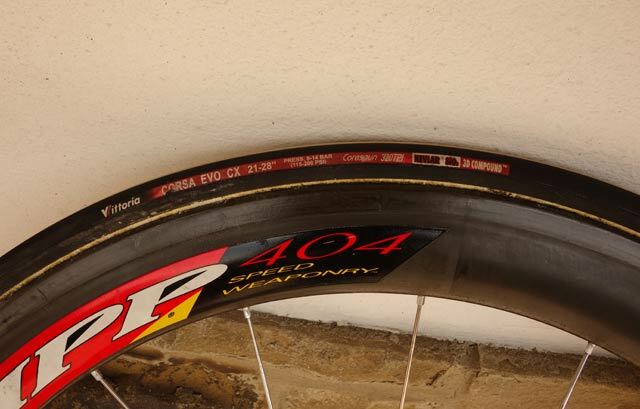 I’ve chosen this tyre for hill climb season, though a couple of weeks before national, I may switch to a lighter rear tyre like the Vittoria Chrono. At this stage in the season, I’d rather have the puncture protection than 25 grams of weight – even if it is rotational. 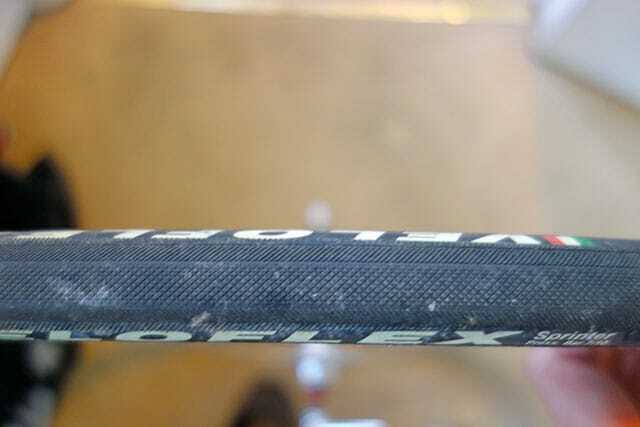 Like many high quality, low weight tubulars, it seems to lose air pressure pretty quickly. In a four hour race, this could be a bit of a problem. In four hours it can easily lose 10 PSI. It means I tend to blew it up slightly more than my targeted PSI before a race. But, since it’s a guess what tyre pressure to use anyway, it’s not such a big deal. It looks good – black and gum coloured. Simple design like a tyre should be. 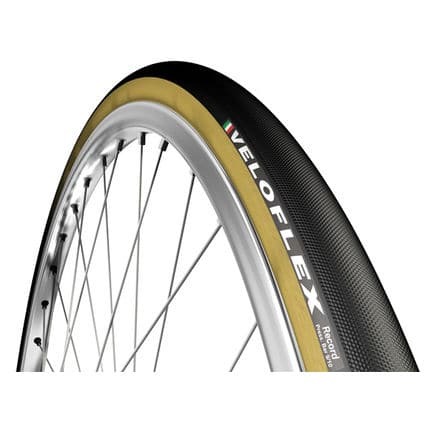 I believe there is a Veloflex Extreme which is same tyre but black sidewall rather than gum coloured – don’t know why you need a separate model for different coloured sidewall. It’s actually slightly muddy after yesterdays race. Despite driest September on record I still managed to find a muddy puddle at the top of Walbury hill. I bought the Veloflex Record on the recommendation of a fellow tester, and so far I would be happy to recommend too. No punctures and good performance in time trials and hill climbs. The big drawback to the Veloflex Record is the cost at a RRP of £90, it’s a case of hoping that the price justifies it’s value. The old law of cycle racing is never skimp on a good tyre / tubular. But this still stretches the wallet a little more than I would like. Still if does offer good combination of rolling resistance, weight and puncture resistance it will be money well spent. The Veloflex Record costs £97.00 and seems to be interesting in getting record for most expensive tubular. I may try it on front wheel next year though. 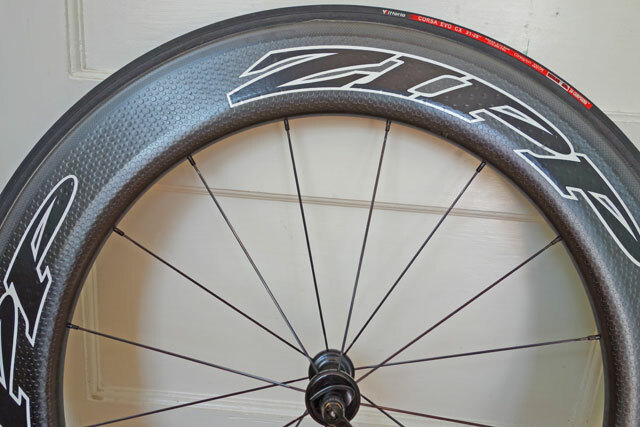 One of the top end road tubs, the Vittoria Corsa Evo CX is a good all round tubular, which is a popular choice for road racing and time trials. It is my second most used tubular after Continental Competition, and has been pretty hardy so far. It has a tpi of 320. This high thread count helps offer smooth ride with low rolling resistance. The puncture resistance is helped by a PRB 2.0 puncture resistant belting. At 245 g it is not the lightest tub on the market. It’s ideal performance would be on a tough road surface. If you are riding on pancake flat tarmac, you might get away with a thinner tyre – like the Vittoria Chrono or Veloflex Record. Getting punctures is often a big discouragement for people taking up / continuing with cycling. Several years ago my parents bought some cheap hybrid bikes They had good intentions to start cycling. But, after one or two rides, two tyres got punctures and they have been sitting in the garage ever since; I think the idea is that as the family cyclist I will sometime get round to mending the puncture. But, it hasn’t happened for a long time. It’s a shame many beginners get put off by punctures because with a bit of preparation, you can make punctures a very rare experience. I blame cycle manufacturers who sell cheap hybrid bikes and put on cheap, useless tyres which are more likely to puncture. I’m sure everybody who buys a bike would prefer to pay an extra £20 to get puncture resistance tyres, but in the pursuit of cheaper bikes, we end up buying cheap tyres – which puncture and then we get put off cycling. Buy the best, puncture resistant tyres. Avoid the grittiest part of the road, where punctures are more likely. 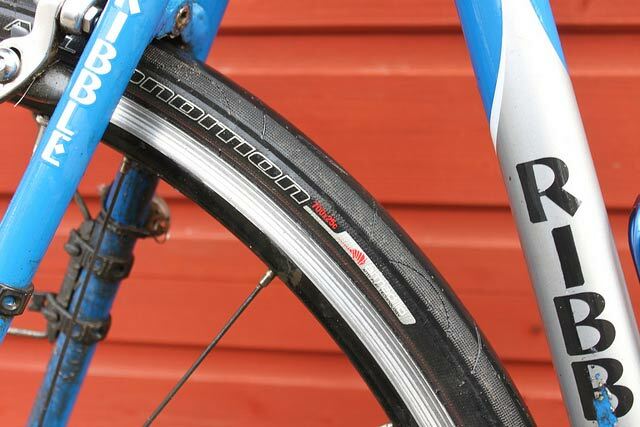 If you buy a road bike / hybrid bike, there are some excellent tyres, which have very strong puncture resistance. This is the best investment and upgrade you can make to any bike. Unless you are racing, don’t worry about the extra weight. You won’t really notice it for a commute into town, but you will appreciate the reduction in punctures. Schwalbe Marathon a good barrier to punctures. Both tyres are very puncture resistant. I’ve averaged a puncture more than every 3,000 miles using these tyres. They are very rare. For summer training, racing, I might choose a lighter tyre, with less puncture resistance, but still pretty good. On a training bike, I often use Continental Dura Skin or Continental Grand Prix. 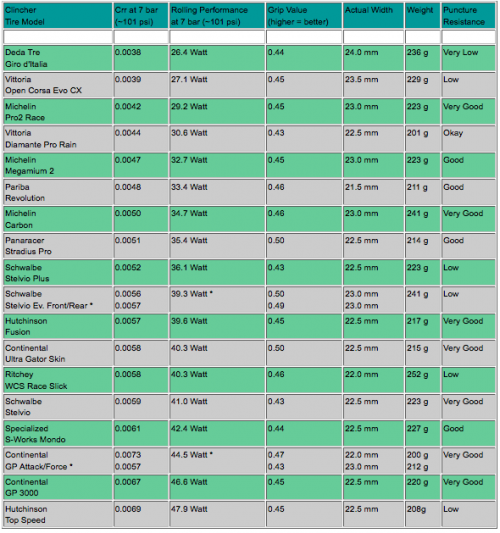 You can see reviews of good road tyres here. Unfortunately, at the moment it is hard to get completely puncture resistant tyres for road bikes. For some bikes you can get solid tyres, which offer a puncture resistant ride, but I wouldn’t want to ride them. When racing I always choose a tyre with good layers of puncture resistance, at least 1 or 2 kevlar belts. For training and even racing, I would rather choose a slightly heavier tyre and have an improved chance of avoiding a puncture. Only on very short hill climbs, will I risk the lightest tubulars. 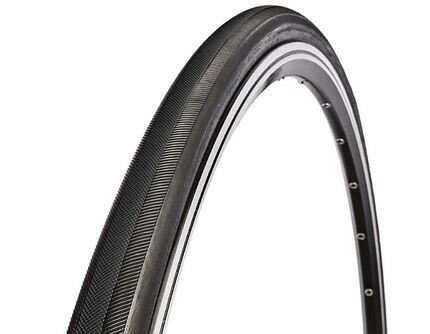 If you ride tubulars, a good puncture resistant tubular is Continental Competition (not the fastest) but pretty hardy. This is my Continental competition, I plucked out a sharp piece of glass from the rubber – no puncture. But most other tubs would have punctured because it’s quite big piece of glass. Also, it’s important to look out for potholes, if you ride over a pothole, you can puncture or even worse come off and break your wheel. Also, there have been times, when I’ve got off and walked by a newly cut thorn hedge which the farmer has kindly left on the road. 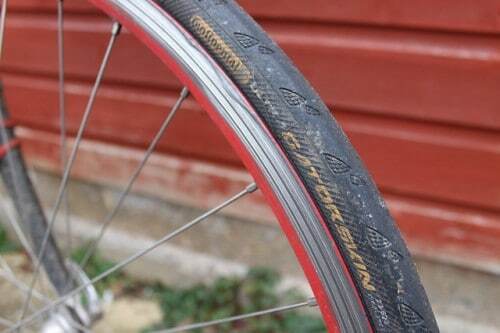 The biggest cause of ‘repeat punctures’ is putting on a tyre with tyre leavers. This invariably causes a pinching of the inner tube between rim and tyre. To avoid this, it is important to always put a tyre back on with your hands. One thing I would add is after replacing inner tube and tyre, blow up to 20psi and then go around both sides of the tyre to check you can’t see any inner tube caught between rim and tyre. If it is, make sure you get rid of this, as it will cause a pinch puncture. This is especially important if you used tyre levers. Another option is to go tubeless. Tubeless avoids pinch punctures. Also, you can put self-healing slime into a tubeless, so if you do puncture, the slime should automatically seal the puncture, and avoid 99% of punctures. I’ve gone tubeless on one rear tyre. At a low tyre pressure, you are more likely to get pinch punctures. This is why mountain bikers are much more likely to use tubeless. By running tubeless they can run low psi of 30ps – 40psi – without worrying about getting a pinch puncture (inner tube stuck between tyre and rim). If you run ordinary inner tubes and tyres and keep a low psi, you may end up with a pinch puncture. I never use a puncture repair kit. I just buy inner tubes in bulk. At least a failed puncture repair is one less thing to worry about. I frequently check tyres for wear. I prefer to replace at early signs of wear. 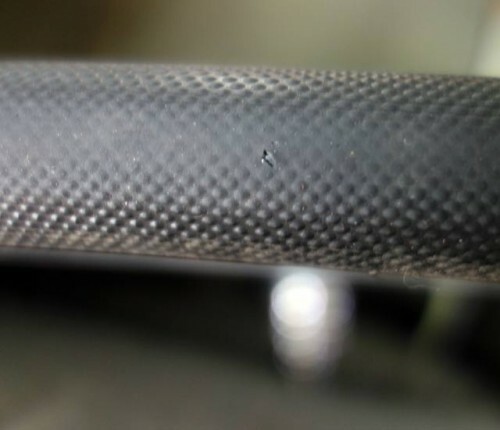 I have seen some riders wear tyres down so much, you can actually see the outer layer is completely gone! This Continental GP 4000 has been worn down by riding on rollers. I could get more miles out of it, but, it’s done a good few thousand, so I’d rather replace now. Another good thing to do is to check for pieces of glass that have got embedded in the tyre. I will use a sharp point (nail or safety pin) and flick the grit out. (watch out for your eyes). This prevents the grit getting pushed further into the tyre and causing a puncture at a later date. I usually tolerate one or two scratches in a tyre, but, when they start to look deep or prevalent, I chuck the tyre out. Better to replace too early and avoid that puncture! 9. Make sure there is rim tape on the wheel. I’ve had two punctures because the rim tape slipped off the centre of the wheel; this meant the inner tube was in direct contact with metal rim, and this caused a puncture because the metal rim can have sharp edges. 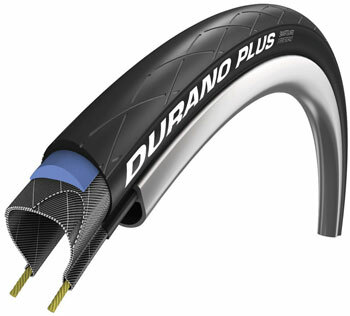 The advantage of tubulars is that they are less likely to suffer from a ‘pinch puncture’. But, overall it really depends on the quality of the tubular. For racing I use tubulars, not so much for better puncture resistance, but they are lighter. However, when you do puncture it is more expensive. So road tyres and inner tubes are better for training. I once blogged about not getting punctures and preceded to get 5 punctures in a week. But, sometimes you can go a long time without puncturing. People often find that riding in the rain causes an increased chance of puncture. I think this may be due to the fact that the water reduces friction and makes it easier for grit to penetrate the tyre. I guess no body would choose to ride in the rain unless they can avoid it. But, be prepared for higher risk of puncture if it is wet. You can now get solid tyres which are 100% puncture proof. They are a bit slower, but will last a long time. No air, so no puncture a Korean Company Tannus is manufacturing them. It will be interesting to see if they catch on. 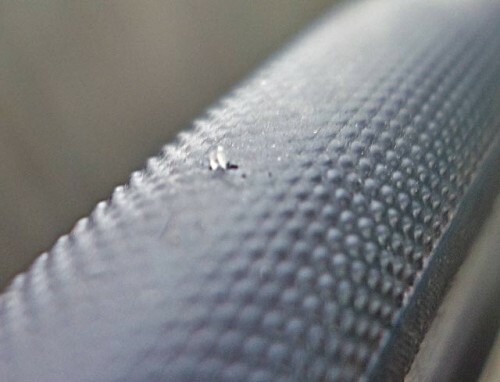 Tubeless tyres are a ‘relatively’ new technology that dispenses with the need for inner tubes. Instead, you use specific wheel rims which can keep an airtight seal between the special tubeless tyre and the bead on the wheel . I’ve updated this post because (inspired by readers comments) I’ve got round to actually buying and using a tubeless (Hutchinson Atom). First impressions are very good, I was quite surprised because previously I had decided it wasn’t worth the hassle. But, now I’m considering next wheel purchase will be tubeless. It was easy to fit and I’m fairly confident to run that wheel virtually puncture free. Avoiding those irritating pinch flat punctures, where you get the inner tube pinched between rim and tyre. Some claim this is 99% of punctures, but I don’t believe it is that high. Nevertheless, I’ve had many pinch flats over the years, tubeless eliminates these. With tubeless you can put a small amount of liquid sealant in the tyre. If you puncture, this sealant will fix most of these punctures. This gives you excellent puncture protection – better than standard inner tube and tyres where you can’t run sealant. Can be marginally less weight than a standard clincher tyre and inner tube because you don’t need an inner tube. 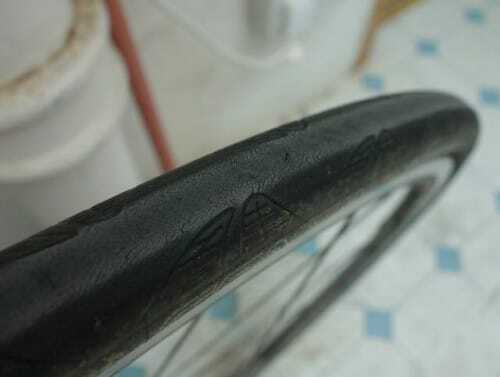 If a tubeless tyre does puncture, air should escape more slowly – there is less risk of the inner tube bursting and causing a rapid deflation – which could be dangerous when descending rapidly. I ran an ordinary inner tube on a tubeless wheel, when I punctured, I was able to cycle home 7 miles because the air leaked out very slowly. They can be difficult to fit. Because the tyre needs to be airtight against the rim, many models are difficult to put on. This is a real pain if you puncture out on a ride. For some tyres you may need an air compressor to put on. However, this doesn’t have to be the case. 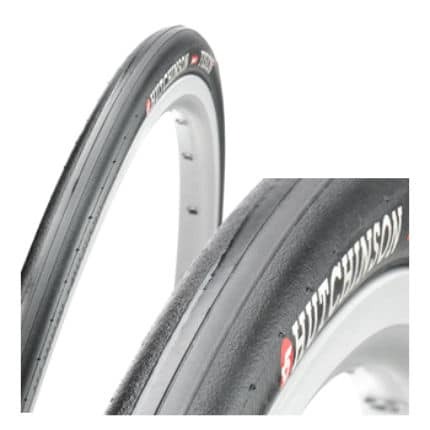 I found that the Hutchinson Atom tubeless went on very easily. The other advantage of fitting a tubeless tyre is that you don’t have to worry about using tyre leavers – there’s no inner tube to pinch. To get the best from tubeless tyres is it advisable to purchase some sealant. This makes it airtight and also enables punctures to be fitted. So far they haven’t really caught on, (at least for road bike. MTB seems more successful because MTB tyres are often at lower pressure). There is no critical mass meaning most local bike shops often don’t carry them. Even online, the choice isn’t great. They are not particularly cheap. Ordinary road tyre technology has improved a lot meaning you can get some good tyres which rarely puncture. These days clincher tyres are really quite good value. As long as you are very careful in refitting an inner tube to avoid puncture flats, there isn’t such a big puncture risk. Now the winter is officially and very firmly behind us (cue return of rain, sleet and snow) it’s time to take off the winter road tyres and choose the best summer road tyres for all the upcoming halcyon days of riding on dry smooth tarmac in temperatures approaching the mid 30s. Depending on the tyre you choose, there can be a big difference in terms of rolling resistance – up to 30 watts worth between best and worse performing. Also, The faster you go, the more you will notice the difference. Over the years I’ve tested quite a few different road tyres. To some extent it becomes hard to choose between different models. But, the good news is that I feel the technology of tyres has improved in recent years, giving cyclists a really good choice of tyres. Because I have so many sets of wheels, I’m often riding several different types of tyres / tubulars at the same time, which gives an idea of how different tyres compare. I would say the golden rule of buying tyres is don’t penny pinch. It is invariably worth getting a relatively expensive tyre. The cheapest models of tyres tend to be poor value. Ease of maintenance – changing in case of puncture e.t. When buying tyres, it is hard to know the rolling resistance that the tyres offer. From trial and error and testing, you can notice a difference between different tyres – especially when doing time trials, but it is always tricky to measure exactly. The graph below shows the power required for different tyres, which were tested at Continental in Germany Link. If it was tested at Continental, it’s interesting that Continental tyres don’t come out so well on the rolling resistance. The test shows the rolling performance at 7 bar (101psi) and the power needed to overcome rolling resistance of the tyre. This shows, there is over 20 watts difference between the worst performing tyre (Hutchinson Top Speed) and the best performing tyre. With a threshold power of 300 watts, 20 watts is a lot to give away to a slow tyre. I have used the Vittoria Open Corsa Evo, but I was probably put off re-buying by the relatively poor puncture protection. However, looking at the rolling resistance, it is a tyre which is really focused on performance, with very low rolling resistance. If you want one of the fastest tyres, this is a very good choice. The weight is just 210 grams for the 23″ option.